The Nal’ibali reading campaign offers 67 ideas below to inspire reading, writing and storytelling among children, on Mandela Day -because children who are passionate readers today, are tomorrow’s leading problem solvers. Visit a reading club where you can read to children, tell them stories, drop off books and stationery – not just during Mandela Month but on a regular basis because all children benefit hugely from many different encounters with stories and books over time. To read more and for suggested clubs in your province, visit http://nalibali.org/support-us/ for our Reading Club Directory. Volunteer to read or tell stories to children at your local library. For more information about libraries and to enquire about your nearest library, visit www.liasa.org.za or ask at your local municipality. Take a group of children to your local library and introduce them to the joys of borrowing books. To find a library near you, visit www.liasa.org.za or ask at your local municipality. Build your own memory bank of children’s stories: you don’t have to buy these – you can borrow them from a library. Each month, choose one book to read with children and get to know it really well. Go to http://nalibali.org/recommended-reads/ for some suggestions of well-loved stories for different age groups and in various SA languages. Collect cushions, blankets and rugs or carpets and donate them to a reading club near you to create an warm, cosy environment that invites cuddling up to share a good story. Donate fruit, healthy and non-perishable snacks and drinks to a reading club, in your area. To locate your nearest reading club, visit the Nal’ibali ‘Support Us’ page where you can download a directory of reading clubs in your area. Who shares a birthday with Madiba on July 18th? Children can make birthday cards for him or for others on this special day. They could also write letters to Madiba or to other special grown-ups in their lives to mark Nelson Mandela’s birthday. Donate reading-related resources to a school, classroom, community centre or reading club who need them. Visit http://nalibali.org/resources/ for tip sheets in English, Afrikaans, isiZulu and isXhosa that are free for you to print and share. Make a life story movie: tell the children that you are a movie-maker, and that you are calling for suggestions for great life stories to turn into movies. They should write and persuade you why you should choose to film their own story. Story mistakes: make deliberate and silly mistakes when you read or tell a favourite story to young children, and let them have fun correcting you. For example, read about Silverlocks and the four bears, and Little Red Riding Socks etc. Choose a story or rhyme with repetition or a chorus, such as “There was an old lady who swallowed a fly”, and “The three little pigs” to share with the children. Once they know it, invite them to join in. Pause and allow them to take over telling the repeated parts. Change a story: change the characters, title, beginning or ending of a story, to make it your own. Young Children love it if you use their own names, and those of friends and family members as characters. Ask children for different ways to end a story: sad, silly, happy, unbelievable etc. Tell stories from the story bag: collect small items to put in a “story bag” (e.g. a ring, a doll, a puppet, a bunch of keys, a wallet, a bell, a sock, or a purse). Children can take turns pulling out items from the bag, and make up stories using these items. Stories can be told either individually, or in pairs. Tell “When I was a baby…” stories: children love it when you share stories about yourself and when you were young. For example, family members can recount their past by beginning a story with, “the day I was born” or “when I was your age…”. Or share stories about your ancestors. Create a story: make blank books for children to use in various ways for story writing for others. For great bookmaking guidelines, visit The Tell Project website (http://praesa.textmatters.com/materialsDevelopment/). Some younger children may love to “tell” a story by drawing and older children can write down what they younger ones say. Or invite older children to make a picture book for younger ones, or for one another. They can get ideas from other storybooks, or they can compose, write and illustrate their own stories. Once finished, invite the children to share their stories with each other. Story box: elicit important and interesting words from each child. You or they can write each word on a slip of paper, and put it in a box (e.g. happy, egg, train, jumped, giggled). Each child picks a word out of the box, and reads it aloud (or you can do this for them). In small groups, they can make up stories, incorporating the chosen words. Create and distribute “Once upon a time” booklets: buy or make blank books and turn them into “Once upon a time” books for reading clubs, classrooms or even at home. Every time you meet, start with 10 minutes of writing time. This is free time to write and draw whatever the children feel like. The only rule is that what they write should begin with “Once upon a time” (or the equivalent in another language). Afterwards, invite children to share what they have written with you or the rest of the group if they want to. Think, pair, share: after a reading or telling a story, ask the children a question such as is there anything about the story that makes you think about your own life? Or: What was your favourite part of the story? Or: if it were you in the story, what would you have done? The children sit facing a partner and they share their responses. Each child then takes a turn telling the larger group his or her partner’s response. Tell “True Stewies”: children get into groups and each group chooses a leader. The children tell quick, funny or embarrassing story about themselves or their friends. Leaders then combine, construe or “stew” together elements from each story to create a new and funny story. Act-a-story: give children the opportunity to make up short plays and/or songs from a story they’ve enjoyed reading. Incorporate costumes or puppets in the performance, if possible – or get them to make their own props for even more fun! Help recruit volunteers: reach out to older high-school or varsity students to become involved in reading clubs; all it takes is an hour of their time to be mentors to younger children as well as positive reading role models. Start with the older children or students in your own home or circle of friends. Show and tell: have the children bring an object to school or reading club that they feel represents them or is meaningful to them. Invite them to share why it is meaningful in a story, to a partner or group. Encourage other children to ask questions about their object. Some children might prefer to write about it instead. Organise a “dress up as your favourite character” day: allow time for the children to tell each other about the characters they are dressed-up as and the stories they are from. Post your photos on our Facebook page so that other children can admire their efforts: www.facebook.com/nalibali and share in the fun. Let the older children at your school or reading club create short plays based on the stories from their favourite picture books and then perform these for the younger children on Mandela Day, July 18th, and throughout the year. Create a storybook wall: invite children to draw a picture of their favourite storybook character and write the name of the character and the story the character is from. Display all the pictures on a wall for everyone to enjoy. As you read more stories to the children, let them renew the storybook wall with new characters. Write Letters! 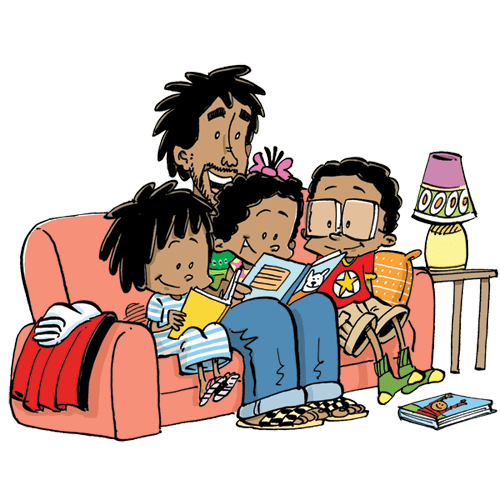 Read your favourite picture book and then encourage the children to write letters to the author or one of the characters in the story. If you can send the letters to the author and request that they write back to the children. Try to have a regular time for Inviting local authors to come and read their own books to the children, and to talk about their lives and why they write children’s books. ‘Storytime’ puppets: make or collect a few puppets, give them names, and have them communicate with little children before and after you read or tell a story. They can set the scene for a story, ask questions, tell their own stories, empathise with characters, and they and the children can write to one another. Wonderful-word wall: make a word wall (or book if a wall is difficult) on which you write, and encourage the children to write, new and favourite words they have heard in stories. This can be in one or more languages. Get into the habit of noting one or two wonderful or interesting words each time you share a new story. Ask a group of children the question: “What you want to become when you grow up?” Have them dress up and use props to describe what they want to be, and then get them to tell or write a story about how they think it is being that grown up. Character monologue: Ask the children to pick a character from a story you have read to them or they have read for themselves. Ask them to develop a monologue for their character. Guide them with questions like: Why am I here? What am I thinking? How am I feeling? Where do I want to be? What do I want to do? Why? Collect and compile children’s African-language rhymes, folk tales, songs, lullabies, tongue twisters, and riddles into posters or booklets for a reading club. Donate a story basket with storybooks and props for telling stories to your nearest reading club, or other place where people are keen to share stories with children. Donate the children’s abridged Nelson Mandela’s “Long Walk to Freedom” to a reading club for them to read and enjoy all-year round. Read the book and watch the movie: choose a story to read aloud to children that has also been made into a movie. There are many: Pinocchio, the BFG (Roald Dahl), Charlie and the Chocolate Factory (Roald Dahl), The Cat in the Hat (Dr Seuss), Peter Pan, A Series of Unfortunate Events… First finish reading the book, and then watch the movie together. Discuss the difference between the versions with them. Group poem reading: on a large piece of paper write up and share a poem with a group of children. Read the poem aloud a few times and then encourage the children to read along. If there is a large group, allow some children to lead and guide the group as they read. If there are words or phrases the children don’t understand, explain their meaning. Use a dictionary too and if it’s helpful, draw a picture next to the unknown word. ‘A day in the life of’: Collect some everyday objects, like a clothes peg, a newspaper, a pen, a hat, a hairclip, a pair of spectacles. Get the children to choose an object to tell ‘a day in the life of…’ stories. Encourage them to think about who might own or use the object, what age would the person be, where might they live, and if the object had eyes and ears, what they might see or hear. Tell my story: give older children some proverbs to use to inspire and shape some new stories. For example: A man on the ground doesn’t fall (South Africa); talk does not cook rice (Chinese); don’t be in a hurry to swallow when chewing is pleasant (Malawi); you can’t chew with somebody else’s teeth (Yiddish); he that goes barefoot mustn’t plant thorns (English); anger is a bad advisor (Hungary); eggs must not quarrel with stones (Jamaica); one finger cannot lift a pebble (Iran), and so on. Make a video or recording of children telling a story: you can even do this using your cellphone. Allow them time to rehearse before recording. Encourage children to share their recorded story with others. Children love seeing or hearing themselves again and again! Create a glossary of words for your children: every time they encounter a new word in everyday conversations, during story time or when reading alone, add it to a glossary book, blackboard or stick them on the wall, with the meanings next to each new word. ‘Describe me’: collect different natural objects like a piece of wood, a stone, a feather, a pinecone, a piece of eggshell. Pass one round from child to child, and everyone says one word that describes the object for them, e.g. the wood is rough, brown, heavy, splintery. Another time, ask the children to give a word that they object reminds them of e.g. the wood makes me think of fire, tree, chopper, paper, cooking etc. Write book reviews! Get children of all ages to review the latest book they’ve read or to review a story you have recently shared with them. Or write your own review of a book that you have found to be a hit with children. Send your reviews to letters@nalibali.org for us to feature on our website. Story circles: organise children into groups of six or eight and have them sit in a circle. The challenge is for each group to create a story with each person, contributing a sentence to the story. Possible beginning statements for the storytelling session include: “It was a dark and stormy night”, “It all began in the year 2050” or “long ago in a kingdom far away”. Create a bulletin board to display jokes, riddles and rhymes. Place it somewhere visible and keep adding content to stimulate children’s minds and problem-solving skills. Tiny card stories: give older children tiny pieces of card or paper, the size of a business card. In the most concise way they can, they rewrite the story they’ve just read or that you have read to them on the card. Take turns reading these abridged stories to one another. Favourite quotes: get older children to find and share their favourite quotes by great men and women. Nelson Mandela may be one of them, but which other great quotes can they find? The Internet is a good place to look and if they love a quote from a person they don’t know, they can find out more about them too! Book treasure hunt. Give children a character’s name or an object to find in a picture book (you will need several copies of the same book if you have many children). The first child or team to find the name or object, wins! Nominate a Story Star. Take the time to nominate someone in your community making a difference to inspiring reading and writing among children. Visit http://nalibali.org/nominate-a-story-star/ and let us know about their actions so we can acknowledge and share the work they have done! Recycle! Don’t toss out old newspapers, magazines or telephone directories. Reading clubs and classrooms can use these to make collages,posters and cut out words to make ‘word art’. Secret stories: talk about different animals, and show photographs and pictures of animals to the children. Talk about words we use to describe the animals characters, like a sly fox, brave lion, hysterical hyena. Then invite children to make up and write secret stories about themselves and their families or friends turning everyone into a different animal. They can start by deciding what animal character to give each person they want to write about. Let them decide if they want to share the secret about who’s who or not. Take pictures of your child/ren reading. You can place these on your reading club walls, on the fridge or in frames to help capture satisfying memories of reading. Watch a literacy video. Visit http://www.youtube.com/TheNalibaliChannel and take some time to enjoy informative videos to get children reading – or watch Moving Picture Books in isiXhosa with your children. Record your own audio stories: do it in more than one language if you can. Record yourself or your child reading stories to play in the car, at bedtime or just before naptime. Take turns to tell stories from picture books, ignoring the words and making up your own story from the illustrations. Invite children to make up new names for characters and see how many different twists and turns you can come up with. Set the scene: gather a few props for favourite storybooks. For example, if there is a mirror in the story, have a mirror with you to use, like the character does as you read; or if the story is set in the dark, try and make the space dark and read with a torch; if the story is set in nature, read under a tree, etc. Setting the scene for stories in this way sparks your children’s imagination. Story circles: everyone sits in a circle, and someone begins a story with one sentence only. The story passes round the circle, with each child adding a sentence. Once the story gets back to the first person, ask: “Has our story ended?” and be guided by the children whether to stop or continue. Story puzzle: photocopy a folktale you like and cut it up into scenes. You can number these so that the story sequence is clear, or let the group sequence their own story. Make sure you have enough scenes for the children if you are in groups. Children prepare the different scenes of the story to either read or retell in their group. They need to keep the flow going as if one person was telling the story. Afterwards, compare the different ways children retold the same scenes. Imaginary journey: take turns in pairs to be listeners and speakers. The speaker tells the listener to find something precious in his or her own house. They picture in their minds and describe in as much detail as possible the journey from entering the front door until the listener finds the precious thing, in another room in the house. They then tell the story to their listener of why this thing is so precious to them and finally tell the listener how to retrace their steps back from the precious thing till they are once again, outside the house. Chain sentence: in pairs, children construct either a first or a last sentence for a story. Each child gives one word at a time until they are satisfied they have a meaningful sentence. Before they start, give them suggestions and examples – e.g. the first sentence of an animal story, a ghost story, a school story, an adventure, a mystery, a love story etc. they can then continue to write the whole story if they like. Free reading aloud time: somebody who wants to, starts reading aloud and carries on until they have had enough, then someone else who feels like reading takes over, and continues till everyone has had enough.